John Maxwell Aiken professionally known as John Aiken is a former Australian cricketer, psychologist, and a television personality. During his active cricket career, he played cricket for the Auckland Aces and Wellington Firebirds. After retiring from cricket in 2001, he went on to become a psychologist and has appeared as a psychologist and a relationship expert on several television reality shows. He has over 21.4 k followers on his Instagram. John Aiken who is one of the psychologists and a relationship expert on the television reality show, Married At First Sight has his own tragic story to tell. John, a former cricket player is married to newsreader and journalist Kelly Swanson-Roe. Kelly was a grieving widow when she met John. Kelly's first husband, Jon Roe died in a tragic canoeing accident along with 20 others. Kelly was only 24-years old, whereas her husband Jon was 30-years old at the time. They were married only for 3 years before the tragic accident cost the life of her husband. Kelly then met John in New Zealand. They got together and later got married to each other. The couple who shares 2 children together has found a way to integrate the tragedy into their family life. John said, "We talk openly about it, and we have photos of him. We have a little family event each year where we will remember him. He's just a very key part of it all". Appearing as a psychologist and a relationship expert on the television reality show, Married at First Sight. His best selling book "Accidentally Single: The 15 mistakes that ruin romance and how to avoid them". John Aiken was born on 3 July 1970. His birth name is John Maxwell Aiken. His birth place is in Sydney, New South Wales in Australia. He holds Australian nationality. He earned a clinical psychology degree with a BA. Hons (1st Class) in 1995. Reports say he is originally from Auckland, New Zealand and he moved to Australia for better career opportunities. He was a left-handed cricket player. He played professional cricket for Wellington between 1989 and 1999 and then for Auckland from 1999 to 2001. He played 46 first-class matches and 29 one-day matches in his professional cricket career. He has recorded 2,170 first-class runs at an average of 28.93. His scored high score of 170 not out, 33 catches, and 4 centuries in his first-class matches. He posted 817 one-day runs at an average of 23.34 runs with a high score of 101 not out, 8 catches, and a century. He represented New Zealand selections against the West Indies, South Africa, Zimbabwe, and Sri Lanka. After ending his cricket career, he trained and became a psychologist. As a psychologist, he has done several media works. His book, "Accidentally Single: The 15 mistakes that ruin romance and how to avoid them" became the best seller in 2010. 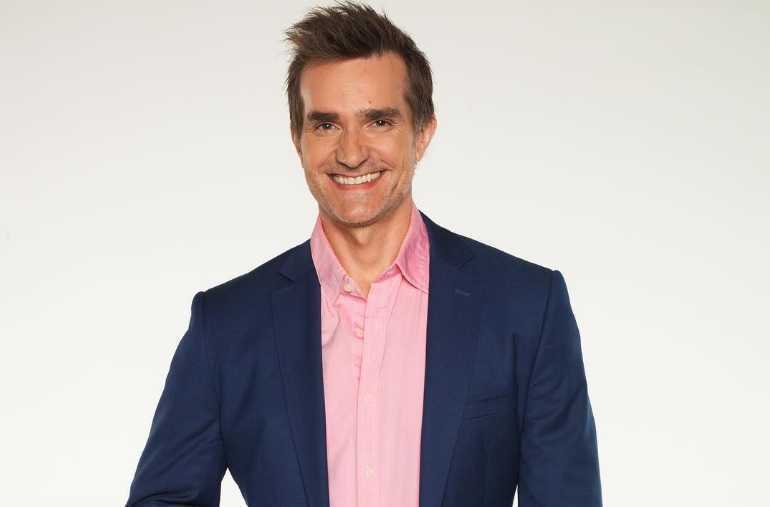 He has appeared in several television shows including ABC's Making Couples Happy and Making Families Happy and CH 9's The Today Show, And A Current Affair. He also works as a dating and relationship expert for 9Honey online. He is regularly featured in radio shows and magazines including Cleo, Cosmopolitan, Next, and Marie Claire. He is a psychologist and relationship expert in the tv show, Married at First Sight Australia alongside Trisha Stratford and Mel Schilling. Who is John Aiken Married To? John Aiken is a married man. He is married to newsreader and journalist Kelly Swanson-Roe. The two tied a knot to each other in 2004. The couple shares two children together. Kelly's previous husband, Jon Roe died at the age of 30 in a tragic canyoning accident in Switzerland. Kelly was 24 years old then. She later met John and they got married. He currently lives with his family in Sydney. What are John Aiken's Body Measurements? John Aiken has an average slim body build. He has maintained his body well. His body measurements are currently unavailable. He has brown eyes and his hair color is dark brown. What is John Aiken's Net Worth? A former professional cricketer became a psychologist after ending his professional cricket career. 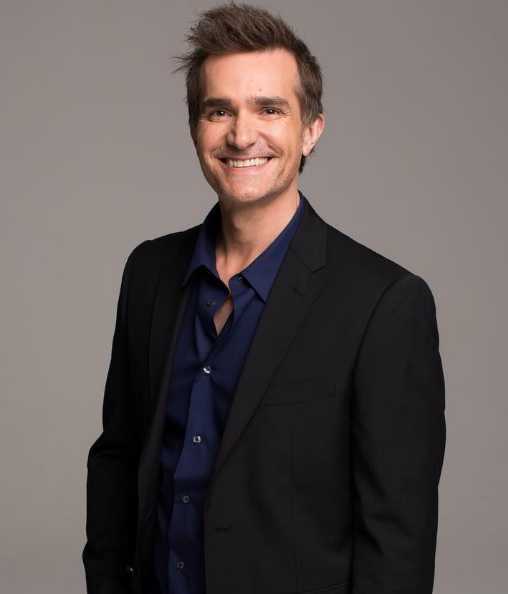 As a psychologist and a relationship expert, he has appeared in several television shows. He also the author of 2010 best seller book, "Accidentally Single: The 15 mistakes that ruin romance and how to avoid them". Working as a psychologist is his major source of income at present. His net worth is under review. It will be updated soon.